After reading Isaacson's book on Einstein, which I heartily recommend, I picked up a book I took out of the library a while ago and kept renewing. It is called Einstein and the Poet: In Search of the Cosmic Man, by William Hermanns. Until Einstein came alive for me, came out from behind the myth thanks to Isaacson, I had no mental place for it. It consists of four interviews with Einstein by Dr. Hermanns, who was initially Einstein's fellow Berliner and then his fellow exile. Hermanns is a sociologist and poet, who has strong mystical leanings and little understanding of physics. The first interview takes place in Berlin as the Nazis are gaining strength and becomes entwined with marching Brownshirts. It is both a wonderfully and terrifyingly bizarre piece, and it would make a striking movie or perhaps play. The next three interviews take place in the United States during and after the war. Although lacking the drama of the first, they are equally informative. Hermanns continually goads Einstein to talk about things that he is not comfortable talking about, such as mysticism, and then pokes fun at his own obtuseness for continuing to press him. Nonetheless Einstein reveals a great deal to him. The interviews contain a treasure trove of information about Einstein's understanding of intuition. I thought I had the intuition bug, Einstein had it even worse! Intuition can take many different forms. I identified deeply with a portion of what Einstein said about it. "Yes that's what it's like for me," I found myself saying with wonderment and even delight at the recognition. This kinship to some of what Einstein evoked no doubt comes from the fact that we share a personality type. After I finished the book, I copied down some quotes I found particularly moving or informative. By putting them one after the other and pondering them a bit I came to see that they formed a coherent, profound, and provocative worldview. Intuition for Einstein—be it about cosmic law or about predicting the outcome of the Second World War—is intimately connected with feeling. Many associate both feeling and intuition with the gut. But for Einstein, intuition is grounded primarily in the feeling of the heart—in its receptivity and its tendency to move out. It depends on a deep caring and receptivity that pushes him to go beyond what is currently known or thought or happening in order make contact with the cosmic order. The following passage comes when Einstein and Herrmanns are talking about the Nazis and the flaw in the German national character that lead to Hitler's appeal. Einstein nodded: he was a good listener. After a pause he said, "The cosmic man must be restored, the whole man who is made in the image and likeness of the arch-force, which you may call God. This man thinks with his heart and not with party dogma. As I've explained before, there is an order in the universe – a cosmic order – and humans have the possibility of understanding these laws." Einstein leaned back in his chair; so did I,putting my writing pad on my knees. He added, "I have no doubt that the allies will win the war." I smiled, "Oh, you are my prophet again." "Prophet or not," he scratched his head, "what I say is more often felt through intuition than thought through intellect." Hermanns is constantly pushing Einstein to acknowledge his inherent mysticism. He succeeds in getting Einstein to say something that probably few scientists today would say—that there is a vital force or energy in creation. Einstein is willing to associate energy with what are generally seen as spiritual concepts. I pulled out some notes. "Once, in England, I was at dinner with people highly trained in meditation, among them Professor Suzuki who asked me to ask you if spiritual vibrations and electricity have the same original cause or force." "I believe," Einstein answered, "that energy is the basic force in creation. My friend Bergson calls it élan vital, the Hindus call it prana." This acknowledgment of at least certain types of energy that cannot, or not yet, be measured by instruments is noteworthy but it is perhaps not completely surprising. Einstein was responsible for showing us that matter and energy are interchangeable. He understood empiricism to be only a tool of intuition. 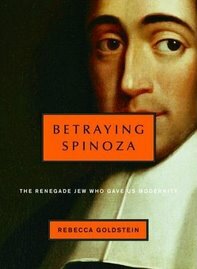 Finally like Spinoza, he saw God, the universe, and all of life as a harmonious whole. Einstein looked through the window and seemed to mumble more to the trees than to me, "I believe that I have cosmic religious feelings. I never could grasp how one could satisfy these feelings by praying to limited objects. The tree outside is life, a statue is dead. The whole of nature is life, and life, as I observe it, rejects a God resembling man. I like to experience the universe as one harmonious whole. Every cell has life." He turned to me and smiled, "Matter, too, has life: it is energy solidified. Our bodies are like prisons, and I look forward to be free, but I don't speculate on what will happen to me. I live here , and my responsibility is in this world now..."
Experiencing the universe as a harmonious whole, there is no reason to fear either life or death. True religion depends only on holding the world in a receptive, caring, and judicious way—on conscience. This opens the door to intuition, which allows at least Einstein to glimpse the law conformability of the universe (and the rest of us too, although no doubt somewhat more dimly). "The truly religious man has no fear of life and no fear of death—and certainly no blind faith: his faith must be in his conscience. Then he will have the intuition to observe and judge what happens around him. Then, he can acknowledge that everything unfolds true to strict natural law, sometimes with tremendous speed." As a part of the cosmic order, certainly Einstein, and perhaps all of us, have a purpose which we can recognize with our intuition. Since our instructions or purpose comes from this harmonious whole, we are participating in eternity in the present. As an inherent part of this totality, we are much larger than we usually experience. Einstein's religion, like Spinoza's, is that the universe is rational. The highest calling is to ponder its laws. Our usual ways of knowing are crude and cannot comprehend the coherence and beauty of the universe. Only the heart with its intuition can lead us beyond what we know of the universe and of ourselves. us to greater understanding of ourselves and the universe." Although intuition is what allows us to move forward—is the most important part of thinking—it alone is not enough. Knowledge also has its place, but intuition is the gatekeeper at the most critical juncture. Even though the workings of intuition remain mysterious, it is a reality. "Isn't truth inherent in man?" I interjected. "You once told me that progress is made only by intuition, and not by the accumulation of knowledge." "It's not as simple as that," replied Einstein. "Knowledge is necessary, too. An intuitive child couldn't accomplish anything without some knowledge. There will come a point in everyone's life, however where only intuition can make the leap ahead, without ever knowing precisely how. One can never know why but one must accept intuition as a fact." These are "DUH" observations. Who doesn't know that intuition is a function of intellect? I'm sorry, but your observations don't amount to anything. I suppose that by bringing Einstein into a discussion of intuition, you are trying to "lend" a scientific legitimacy to intuition. Thank you. Very interesting read. The book seems really interesting. I wandered into this blog, by chance, and bought Hermanns' book on your recommendation. Having just read The God Delusion, Einstein's religious sentiments were a bit of a revelation. True, Dawkins makes a few allusions to 'the Einsteinian God', but rather in the manner of a dodgy tour guide--who, reading aloud road-signs, leads a naive passenger to believe he has actually visited the places, merely signposted. The solution to Einstein's quest for a grand unification theory is simply =. Had he reduced his own equation of e = mc2, he would have found it too. 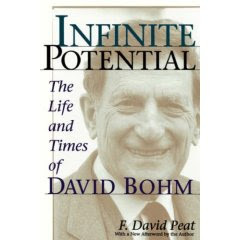 His belief in the constant of C stood in his way, taking him down a path apposed to his natural intuition, a path of mathematical complexity, or simply the wrong way. The truth of everything is much more simple than anyone had thought. Try equality and you will see too. Thank you. Intuition is not logical and cannot be explained. It is understood through the experience of it. Quieting the body and the mind opens us to our intuition. i suspect Einstein spent a great deal of time thinking and a great deal of time imagining. They are different. Once One knows the truth of Oneself (intuition), One knows the truth of All. And that truth can be spoken, written, and most importantly, lived. "The intuition, by which discoveries are made, is a direct communion, without possible intermediaries, with the spirit and the truth." -- A comment from Henri Poincare's nephew about his uncle's beliefs. 100 out of 100 top business professionals interviewed said that the secret to their success was intuition. Boy, I'm use glad I'm smarter than all those mugs. Although maybe...not. Whilst grasping the tail of the lion in search of the lion himself The Professor failed to understand the lion's tail is the lion and All including himself are truly One. Intuition follows the rules of the universe, we just haven't figured out how it works. My intuition seems to be connected to a bend in time. I know what is going to happen (if I am emotionally connected to the event, 2-3 weeks before it happens). A good analogy is a glass falling to the floor. The glass has already dropped and is on its way to the floor and there isn't a thing anyone can do about it. It is the truth and you can't change the truth. Of course intuition is scientifically legitimate. Perhaps some are thinking of an irrational kind of intuition. Most words have six or seven definitions. If u r really interested in all this... read rajayoga by swami vivekananda..
After that go through the lectures by him.. I liked this link very much though.. If u wanna discuss further mail me..
Love your image of Einstein and the way you have shared your story - you are an inspiration and I am following your journey - awesome work! Understanding Unconscious Intelligence and Intuition: "Blink" and Beyond. 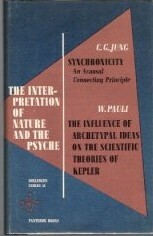 Perspectives in Biology and Medicine 56:1 (2013) pp. 148-66. "Trusting Your Gut, Among Other Things: Digestive Enzyme Secretion, Intuition, and the History of Science," Foundations of Science, 14:4 (2009) pp. 315-329. "Digestive Enzyme Secretion, Intuition, and the History of Science, PT II," Foundations of Science, 14:4 (2009) pp. 331-349. "Towards an Understanding of Intuition and Its Importance in Scientific Endeavor," Perspectives in Biology and Medicine 40:3 (1997) pp. 395-403. I am a biologist with an unusually intuitive cognitive style. After many years working as a scientist,I become very interested in understanding intuition---what it means and how it works. I have written a book that explores the science and experience of intuition. I have been privileged to have a number of unusual intuitive experiences that help resonate these two different modes of knowing. My book is tentatively entitled Understanding Intuition: The Bridge Between Science and Spirituality. 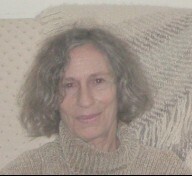 Currently I am working full time on intuition as a Resident Scholar at the Women's Studies Research Center at Brandeis Univerisity. Check out "The Bridge: A Science and Spirituality Resource." Brandeis Undergraduate Alisa Voll and I have started this blog under the auspices of the Student-Scholar Partnership program at the Women's Studies Research Center at Brandeis. "The Bridge is devoted to exploring the link between science and spirituality from a variety of different points of view. 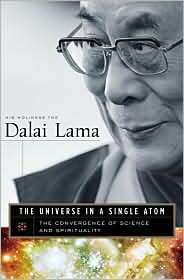 It views both science and spirituality as approaches to comprehending the mystery of the cosmos and ourselves." Notice how the title expands beyond the confines of the book!? Her work made Watson and Crick's discovery of a detailed model for DNA possible. 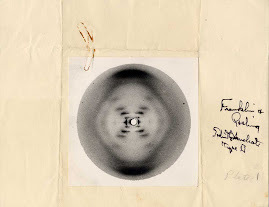 They caught an illicit glimpse of her x-ray crystallography picture of DNA that showed it was a double helix. It really is beautiful in its own sort of way. 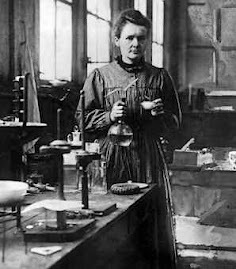 It is ironic that the discovery of the century should have been grounded in the work of the woman who became only a historical footnote. I hope this new century will be different. Did you know that we have an Einstein Memorial in Washington, DC? It is on the ground of the National Academy of Science, close to the other national monuments. Both articles in this book are extremely thought provoking and well worth the read. I found it a bit slow getting into it and then couldn't put it down. 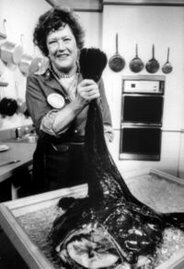 To See Julia and her kitchen at the Smithsonian, click here. 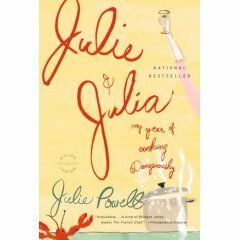 Click here for New York Times article about her year Mastering The Art of French Cooking.